Chibueze Ejieji qualified in Nigeria, England and Wales. He specialises in energy regulatory matters, project finance, and corporate and commercial transactions (including joint ventures and M&A) across a wide range of sectors, including resources (petroleum and mining), power, energy, infrastructure, and energy and oil and gas assets leasing and insurance. Chibueze has advised on transactional and regulatory matters in the Nigeria oil and gas and power sectors, and land tenure matters in relation to projects and infrastructure construction and development (structuring, tenure issues, land use and access, construction and government agreements). He recently advised the Nigerian National Petroleum Corporation (NNPC) on land use, access and title matters that impact NNPC’s petroleum activities. He has also worked on energy law, policy and market design in relation to the commercialisation of gas (especially associated gas) resources in Nigeria. 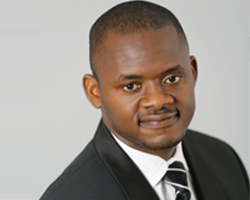 In addition to his experience in Nigeria, Chibueze has wider Africa experience, in particular, Sub-Saharan Africa. He coordinated with a local Equatorial Guinea law firm to advise a junior German E & P company in relation to market entry and a farm-in into an oil and gas asset in Equatorial Guinea.